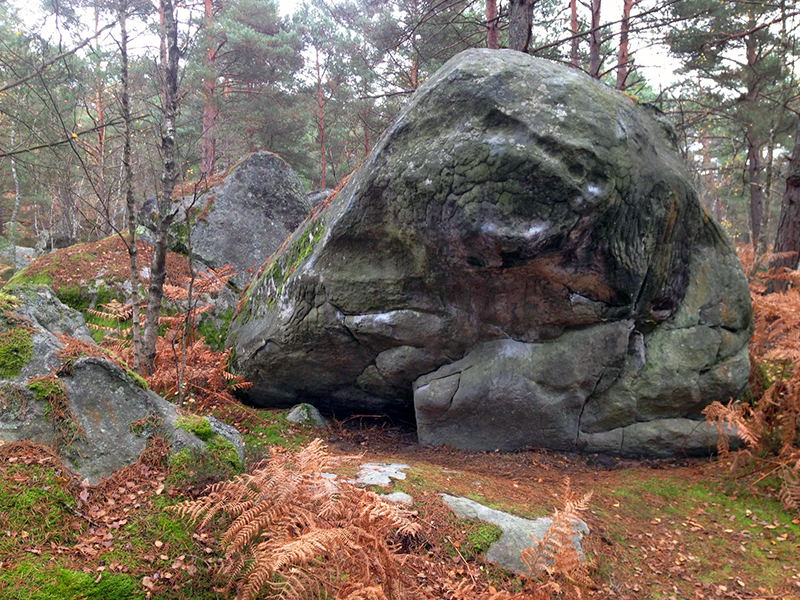 On a small boulder 10m to the North of yellow n°22. 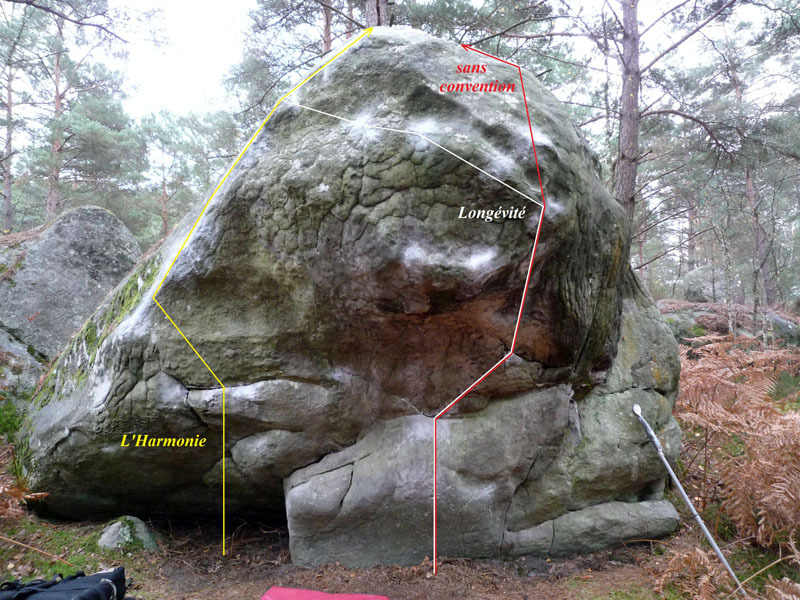 Sitstart right with horizontal holds, climb the overhang to the left and finish with the left arete as for L'Harmonie. Without the crimp to the right.